Irregular aggregate of twinned thick tabular crystals with very well defined faces and edges. A French classic of excellent quality. 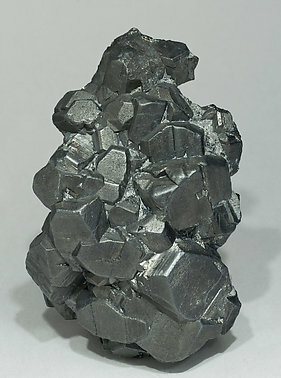 Flat and unusual habit associated with minor sugary Quartz crystals, Pyrite and Siderite. 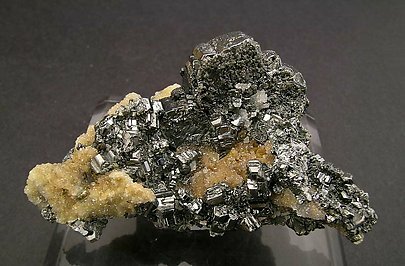 Flat and unusual habit with Pyrite and a small matrix on the back made up of sugary Quartz crystals and Pyrite. 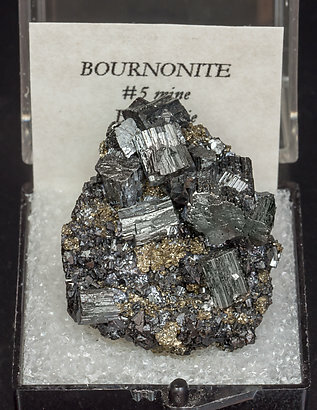 This group of lustrous crystals of Bournonite shows its form very well. 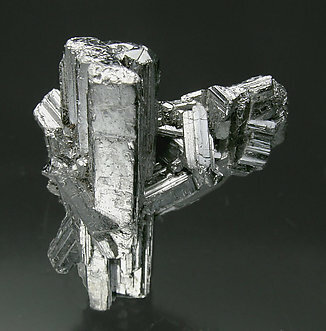 The crystals are doubly terminated and they are pretty well placed and aerial on the Quartz and Pyrite matrix. Fabulous luster in what if often a dull species. China has provided us an esthetic specimen of something that often is not so nice. Tabular cluster of crystals well terminated, with flat pinacoidal faces. 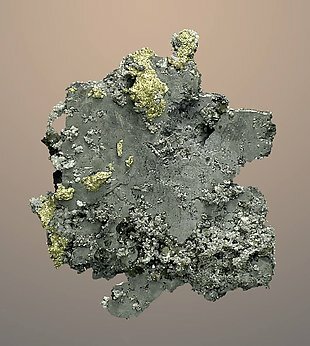 Very aerial group of very well defined and bright twinned crystals with small aggregates of Chalcopyrite crystals. 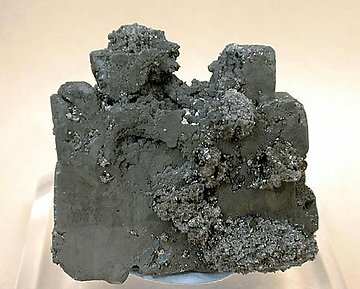 Originally labeled as Seligmannite, our analysis determined that it is really Bournonite. 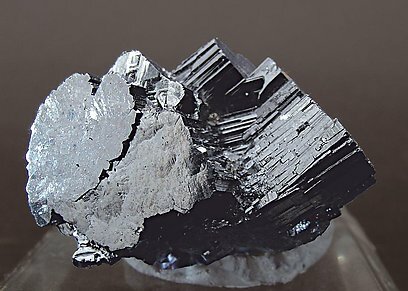 Parallel groups of twinned crystals of Bournonite. They are doubly terminated and very bright, with small crystals of Jamesonite and a cubic crystal of Fluorite partially coated by globular growths of Muscovite. The sample is a floater and it is complete and damage free. 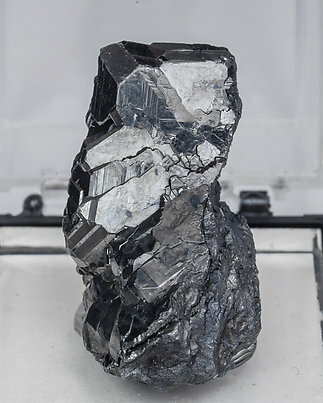 Cyclic twinned Bournonite crystals with very well defined parallel polycrystalline growth on the prismatic faces and most of them totally or partially doubly terminated. 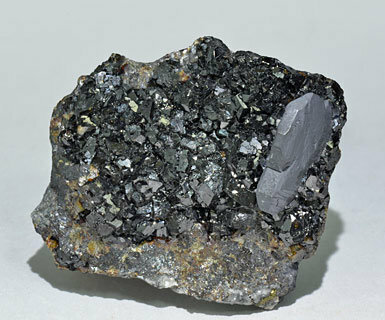 They are very bright and are with groups of black Sphalerite crystals and small Pyrite crystals. 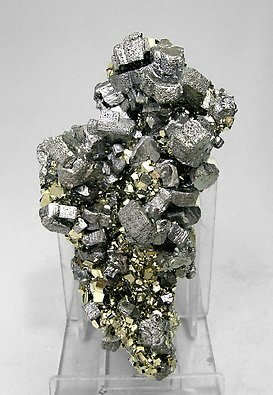 Tabular twinned crystals with groups of small, very bright, pyritohedral crystals of Pyrite. 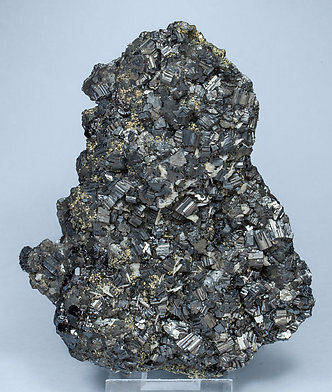 Druse of Bournonite crystals, many of them doubly terminated, forming cyclic twins with small Pyirite crystals and white laminar Baryte crystals. The sample perfectly conserved, is from the Uwe Niemeyer collection. 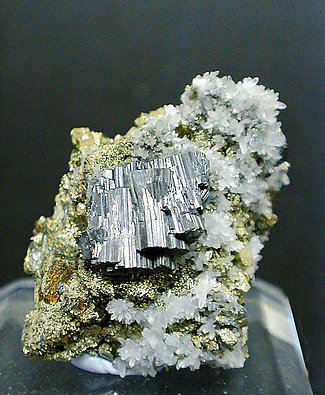 Platy crystals of Bournonite partially coated by a second growth phase that formed microcrystalline aggregates of the same mineral. 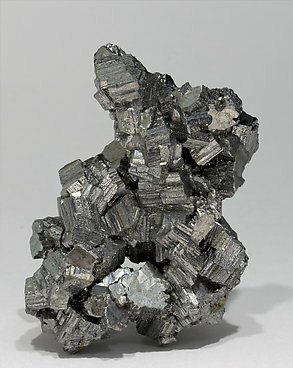 They are on matrix, with Pyrite and small crystals of Siderite. 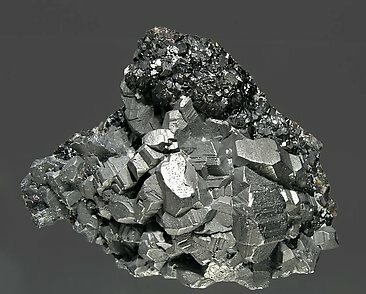 Group of crystals of considerable size. They are neat cyclic twins and are very well defined with sharp faces and edges. The locality is a classic but the specimen is from a recent find in 2005. 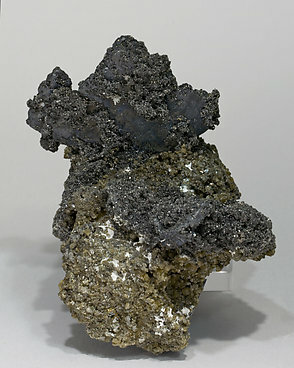 Aggregate of two tabular Bournonite crystals with very well defined faces and edges, forming cyclic twins and on a matrix coated by very bright Sphalerite crystals, a uncommon mineral association for the locality. A French classic of very good quality. Druse of Bournonite crystals forming cyclic twins with very well defined parallel polycrystalline growths. 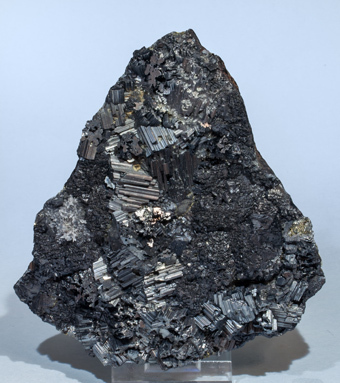 They are very bright and are with groups of black Sphalerite crystals and small Pyrite crystals. 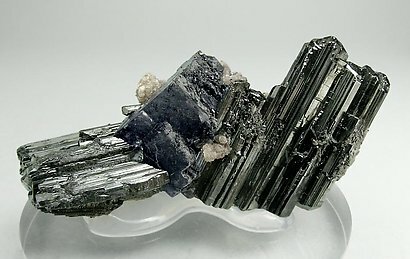 Group of prismatic crystals. with an excellent luster and the special feature that practically all them are doubly terminated. Extraordinary specimen. The cogwheel twin, along with some other smaller ones, is perfectly placed on the matrix and has maintained its brilliance over the years. The locality is also wonderful: Herodsfoot Mine. To add even more to its glory it was bought from Sir Arthur Russell in 1926.